Make the countdown to Disneyland even more exciting with this free Disneyland countdown printable. I’ve avoided telling them about the trip so far because, well, I dread the daily question of, “How long until we leave.” Because I know that my daughter will ask multiple times a day, every day until we leave. So I have limited it to a week of questions. 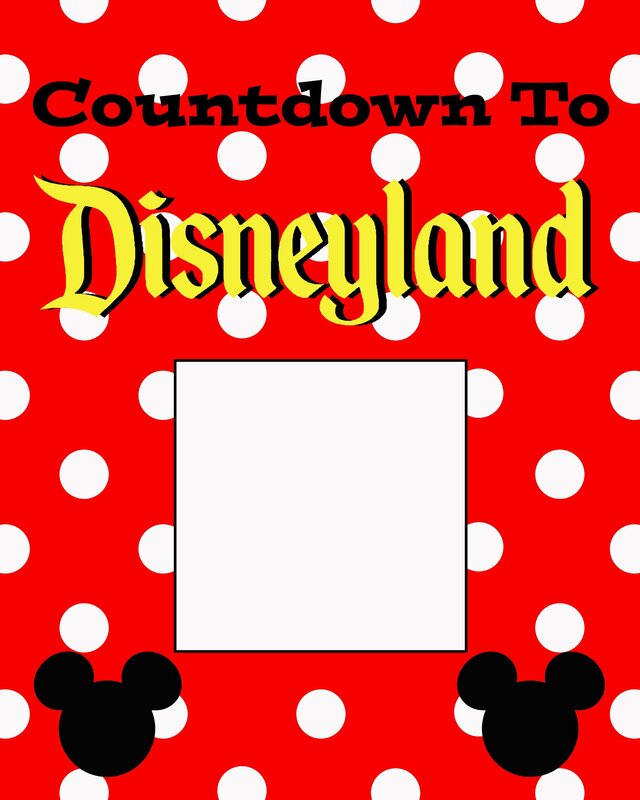 To assist with our big announcement, and to help with the daily questions and excitement, I decided to make a countdown to Disneyland printable. I made one of these for our Disney Cruise last fall, and it was a big hit, so she is sure to love it. Print the Countdown to Disneyland Printable here. After printing your calendar, place the calendar into an 8×10 frame. Then each day you can countdown the number of days until your trip using a wipeable marker and writing directly on the glass. By the way, I love Lil Davinci Art Cabinet Frames for countdown calendars, seasonal signs and my girls artwork. I love it because it makes it super simple to swap out art. Enjoy your next Disney vacation, and have a Magical time! Taking a Disney Cruise? Check out my Disney Cruise Countdown.